4 stars for the movie, 3 for the DVD. Love the movie. Remember it from my youth. Highly recommended for young aspiring kings and princes. 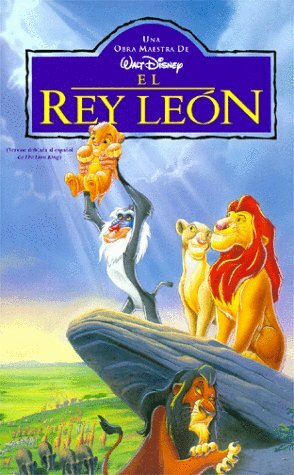 It's a laughter-filled romp, and Disney at his best for great storytelling, and great character development. "This presentation has been modified from the original. It has been formatted to fit your TV screen". You'd think by now, the studios would get a clue, ESPECIALLY Disney, and release either the original with letterbox, or put both on the disc like so many do... Does anyone here like "Pan and Scan"? My complaint ends there. It is otherwise a wonderful film to share with your kids... I enjoyed watching it again after so many years, this time with my four-year-old son. We laughed and marvelled together over the antics and magic of the Wizard Merlin, and the adventures of young "Wart". He was ready to see it again as soon as it ended. I remember the first time I saw this movie. I've always loved Arthurian legends, and in its usual style, Disney puts aside many historical facts in favor of a more entertaining movie, fun for the whole family. 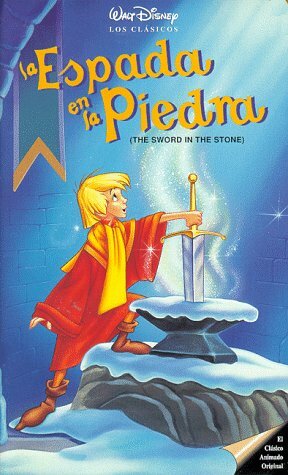 Sword in the Stone ranks up in the top 3 of my favorite Disney movies of all time. The characters are well done, Merlin is hilarious, and the artwork and colors are beautiful, making this movie great scenery for the younger kids, and great, enriching fun for the older ones. 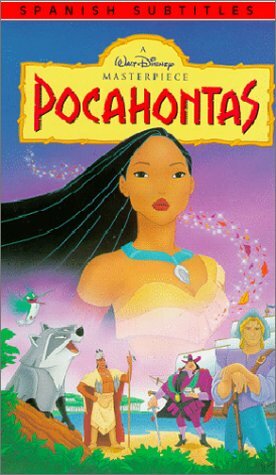 A Classic Disney Film that is sometimes overlooked. This may not be as iconic as some of the other films that the Walt Disney company has made, but it is definately a classic. This gives us a more lighter whimsical look on Camelot. The voice talents are great. The animation is in the classic 60s style that Disney was into at the time. The whole movie is fun. See it, it is not a masterpiece landmark of an animated film but very very good indeed. My #2 Favorite Disney Movie! This is my #2 favorite Disney Movie.Sleeping Beauty is My #1 favorite,but just because it is my second favorite does not mean it is not a good movie,because this movie is absolutely great Especially Merlin.He steal's the show with his hilarious Magic spells and his extream intelligence.Merlin's wise talking pet owl Archimedes (who is voiced by the same person as rabbit on winnie the pooh) also is very funny who helps Wart (Future king Arthur) during movie,especially when Merlin turns him into a fish .This is a very good movie your whole family will enjoy. 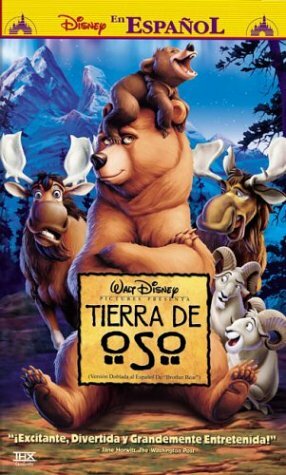 This 60's Disney film was the last one that Walt Disney cooperated in all the way throughout it's making and theatrical release, he died in the middle of the making of The Jungle Book. The film is really great, and highly entertaining, although not a film I would personally watch over and over. This is the story of Merlin, a kind but a bit grumpy enchanter, on a quest to teach young Arthur that intelligence and strategy are more powerful than brutal strenght, and to teach him about science and math and how to read and write so that someday he'll become the greatest king in England. Yesterday, on April 28, we have finally seen the theatrical release of this masterpiece in Japan, and the waiting time was very, very long. But it was worth of our patience. "The Others" is not only a chilling and scary movie; it is crafted with style and intelligence, and it is fantastic to watch the director (who is still below the age of 30!!) create this piece of art. As you probably have known by now, beautiful Nicole Kidman plays Grace, whose children are allergic to light (and this disaease really exists, you should know). With ritual-like meticulous rules, she manages her household works, employing new servants in a huge, dreary countryhouse, which ever-hanging fogs mystriously surround. But there is (or are), she comes to know, some intruder(s) here, of which existence her children are convinced. And sooner or later, Grace comes to feel that, too. 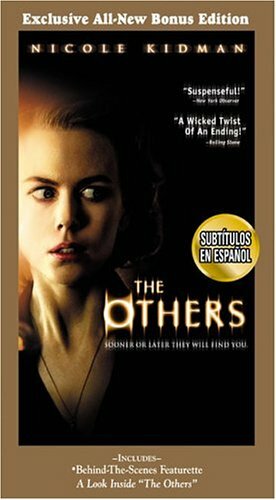 It is a natural but unfair comparison if you point out that "The Others" resembles at some places a certain Oscar-nominated film, because the director Amenabar does it with completely different touch. I cannot tell you much, but let me say, like Hitchcock's classic "Rebecca," the heroine (and the audience) is lured inexplicably into the mystery of the old house and its past. Also using the classic frameworks of ghost stories used in the original "Haunting" (Robert Wise version, NOT THAT remake), the film makes us jumping in the seats, sending lots of chill in spine, and, moreover, it treats a universal subject of love between mother and children in a subtle fashion. On top of that, the film goes further, to make the mother Grace not exactly an ideal one for kids, and it succeeds eventually in depicting the fraility of humans -- in short, you really don't know what you think you know. Anchored by strong and believable acting given from underrated Nicole Kidman (why did Oscar ignore her work here, preferring that musical ... well, but all right, I understand), and aided effectively by other well-cast players whose uncanny presence unnerve us greatly, "The Others" will rivet your eyes on the screen, especially when you are a connoisseur of old-fashioned horror film. Keep your eyes open when you see the details of the film: furniture, photoes, everything. Something is wrong with this house, but how and what is not clear. This bizzare sensation is another asset of the film, and you will find what you missed with repeated viewing. For those who have enjoyed this (and I bet you did), the story is perhaps inspired by Henry James's novella "Turn of the Screw," which deals with the similar situation. You may as well read that equally well-crafted, creepy story. Trivia: look closely at one of the old photoes of the dead: one of the three men on the bed is director Amenabar himself (and one of the others is Mateo Gil, director of Spanish film "Nadie conoce a nadie" of which music Amenabar composed, and of which star Eduardo Noriega was featured in the two previous Amenabar film in Spain, "Thesis" and "Open Your Eyes." The former one is a must-see for anyone loving blood-curdling thriller. But hey, appearing in a photo? This is exactly what Hitchcock did in one of his earlier films about a life-boat, another masterpiece about the people in a confined place !! Surely Amenabar loves his master. Alejandro Amenábar, the movie is tops, where so many other recent ghost stories have failed, relying to much on dopey effects to push the story ahead (the remake of The Haunting for example). Another fantastic example of a new genre of smart, very well written and very well made horror movies. Had this come before Sixth Sense it would deserve a full 5 stars. "I just feel more and more cut off from the world." Alejandro Amenabar's "The Others" is a reminder that very good films need not be glitzy or gimmicky. Neither is an excess of special effects or action sequences required. Film is an exercise in storytelling and good films succeed in telling their story well no matter how small and quaint the film may appear to be. Grace Stewart (Nicole Kidman) and her two children, Nicholas (James Bentley) and Anne (Alakina Mann), live in a manor off the British coast. Three strangers arrive one day in answer to a placed advertisement for domestic help. For some strange reason, the three strangers prove to be familiar with Grace's house. Mrs. Mills (Fionnula Flanagan), Lydia (Elaine Cassidy), and the gardener Mr. Tuttle (Eric Sykes) soon immerse themselves in the daily routine of the manor, but the mood of the house suddenly seems changed with them around. Is there something to the strangers or is Grace's imagination just getting the better of her? "The Others" revels in its simplicity. This is a film reminiscent of an earlier era in terms of filmmaking craft but it does not at all feel like a time-displaced relic when viewed through the filter of modern sensibilities. A legitimately unsettling atmosphere is created under the deft direction of Amenabar and Kidman is granted a wonderful opportunity to put her acting talents on display. She takes full advantage of her chance to carry a film on her own and succeeds admirably. Kidman is the emotional and dramatic catalyst of the story and the film as a whole would have been far less effective had she faltered. Flanagan, Cassidy, and Sykes are also great as the sweet but creepy strangers. From the outset, we know that there is something amiss by their arrival on the scene but we cannot put our finger on it. A tip of the hat to Amenabar for keeping us in suspense until the very end. Good work all around. i love this movie as much as my children. we saw it two times in the theater and countless times at home.michael j fox is the perfect choice for the voice of chance the pup. i also love don ameche as shadow the older dog and sally field as sassy the cat.the movie is a great combination of humor and adventure, plus the scenery is just beautiful. even though i've watched the movie over and over,i always find myself crying at the ending. This wonderful remake of the 1963 Disney feature rivals its predecessor in warmth and beauty. -- A family needs to relocate for a brief period, but cannot take along their 3 pets; a cat and two dogs. Left in good hands on a farm, the animals feel abandoned by their masters, determined to find them. The 3 pets 'escape' only to endure many challenges. Upon hearing what happened, the family begins a desperate search for their beloved pets. -- Of course, all ends well. This film does more than give a mushy account of a pet/master reunion; there are serious 'situations' dealt with honestly and with feeling. A stepfather at last is accepted by the children of his new wife. The ultimate triumph of this movie is the plea to NEVER LOSE HOPE! I haven't seen Homeward Bound in almost a decade (I eventually lost the VHS tape our family bought a few months after it hit theaters), but I have so many fond memories of it as a teen. I absolutely adored this movie back then, and I still do now. Homeward Bound is wonderful for all audiences, and it isn't something parents would hate sitting through. I've been going through all the movies I loved when I was young, and nearly all of them are entertaining for everyone, and didn't try to dumb anything down for their target audience. It's a shame that there's been a somewhat recent shift in what's "suitable" even for a PG movie. PG movies are much more tame than they were from before 1996. In this day and age, it seems that all G and PG-rated movies are made for the 10 and under crowd, but back before 1996 so-called "children's" movies were enjoyable for everyone from the kids they was meant to entertain all the way up to the adults who plunked their kids down in front of them. Homeward Bound was one of the last great PG movies that everyone could love. It's exciting, adorable, and funny. These are some of my favorite "edgier" G and PG movies that don't insult children by being too tame: Teenage Mutant Ninja Turtles: The Movie (1990), Beetlejuice (1988), Return to Oz (1985), Labyrinth (1986), and The Last Unicorn (1982). Heartwarming Nature Adventure with 3-Hankie Finale! This is the wonderful remake of the 1963 Disney feature "The Incredible Journey" and rivals its predecessor in warmth and beauty. Both are based on a true story. A family needs to relocate for a brief period, but cannot take along their 3 pets; a cat and two dogs. Left in good hands on a farm, the animals feel abandoned by their masters, determined to find them. The 3 pets 'escape' only to endure many challenges. Upon hearing what happened, the family begins a desperate search for their beloved pets. Better than the second. 16th april 2004. I recently purchased this video because i own a diffrent one and enjoyed it especially since i enjoy studying spanish. Unfortunately I was disappointed with this one. I didn't care for the selection of songs chosen. But before I purchased it I saw it had a song from "The Little Mermaid" which was part of the reason I decided to purchase it in the first place. 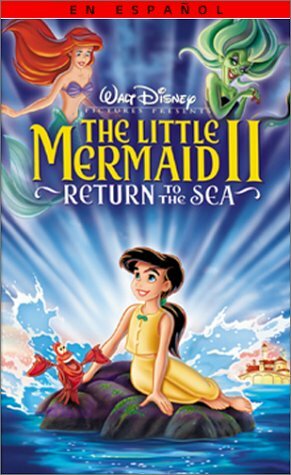 However, if you are a fan of the movie "The Little Mermaid" let me say that the song included in the video is not from the movie but from a song in one of the cartoon series and not in the least bit as good as any in the movie. But on the plus side their are two very good songs from "Aladin" (as mentioned in an earlier review) and another good song from "Beauty and the Beast". Unless you plan to buy this video because of the two songs from "Aladin" I reccomend buying "La Sirenita:Bajo el Mar"(The Little Mermaid:Under the Sea) instead because from my opinion I think it is much more enjoyable for the spanish student and for children. 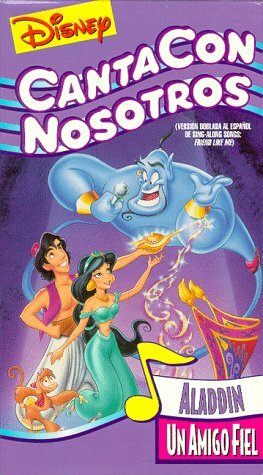 Just type in -'Disney sing along songs in spanish' and it will come up, along with a few other 'canta con nosotros' tapes. Over all I was disappointed with this video but I do give some credit for the songs from "Aladin". 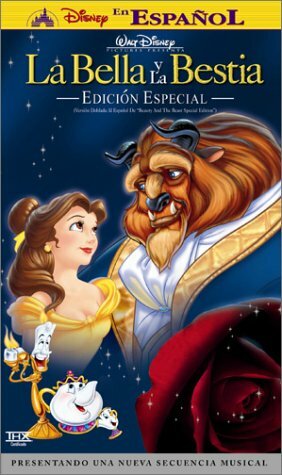 The theme of this video is friendship, and here is its contents: "Amigo fiel" and "Un mundo ideal" (Aladdin), "Hay Algo" (Beauty and the Beast), "Muy buenos amigos" (The Fox and the Hound), ¿Cómo le va? 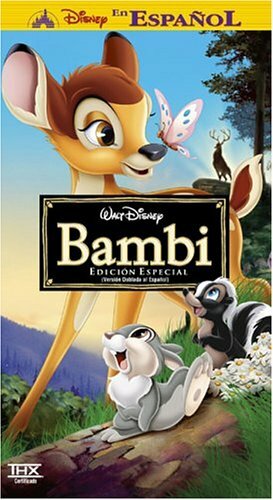 (The Song of the South), "Amistad" (sung by Mickey, Donald and Goofy), "En Armonía" (The Little Mermaid - series), "Juntos cantando" (The Parent Trap) and "Para eso son los amigos" (The Jungle Book). The translations are excellent, especially "Un mundo ideal", and all have Karaoke-style lyrics. I found this video to be a great aid in my high school 1st and 2nd year Spanish classes. A previous reviewer made a reference to Robin Williams - obviously Williams is not in this dubbed collection of songs. 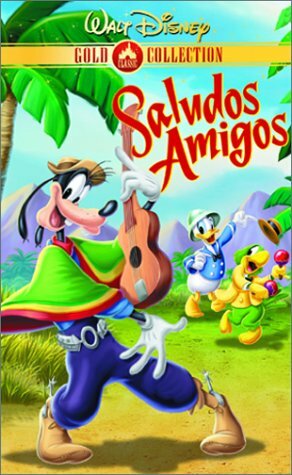 However, the Spanish voice-over is quite good in "Amigo fiel" - "A Friend Like Me". Please note that only two of the songs are from Aladdin. What started off as a really inciteful piece of political satire has now just turned into another money maker sequel series. This isn't even the original Bud, because the original Bud died shortly after the first film. The original Bud would have nothing to do with this, especially the part about sharing the movie poster with a friggin raccoon. For the most part, this is the same formula as the others and is fine for your children to watch on their own. But at one point the character of Andrea, dismayed by her non-athleticism remarks (...). Many say I'm old fashioned for considering this a swear word, but I have no desire to hear my 3 or 5 year old repeat that phrase. It can be hard to generate sequels to a movie that was based on a true story. The original movie starred Air Bud, a real golden retriever with 20,000 career baskets. Unfortunately the read Buddy lost a leg shortly after the film was made. In this sequel, the storyline returns to some real issues and not just silliness. Josh's oldest sister (his only full sibling) must deal with Josh going away to college. Josh promises to return, but it is hard for her, especially when his old room begins being remade for the new baby. Andrea's old life from her parents seems to be being swept away by the new life with step-father and half sibling. But Andrea has other problems. She has just entered junior high with her best friend and they try to fit in by joining an activity. Unfortunately they are hopeless at most everything until they try baseball. Andrea's friend Tammy has real talent but Andrea just doesn't know what to do. Tammy only agrees to be on the team if Andrea is on it as well. This means that Andrea does a lot of bench warming. But when Tammy is injured Andrea if forced into play and helps the team lose game after game. She then finds out that the coach didn't want her on the team originally. Buddy to the rescue! Buddy helps Andrea by getting her to practice. Andrea funnels her anger into intensive practice and refuses to give up. Eventually she begins to catch and hit. More and more practice and she becomes a decent player. Of course this wouldn't be an Air Bud movie if Buddy didn't suit up and play. Seeing Buddy holding a bat is one of the most unbelievable things in the movie. Sorry, just couldn't handle that one (although I can believe his catching ability). The other major downer in the movie is the way Andrea's parents behave. I can accept them being less attentive due to the new baby buy they seem so unconcerned when Andrea goes missing (although not as bas as when Josh goes missing in the previous movie). Tension is added to the film by a Horace and Jasper type team who are out to abduct Buddy and his kids (there are only four instead of six like in the previous movie) in an attempt to discover the sports gene and its secrets. Their bumbling efforts are offset by an even more bumbling sheriff in the silliest cowboy hat seen in a long time. 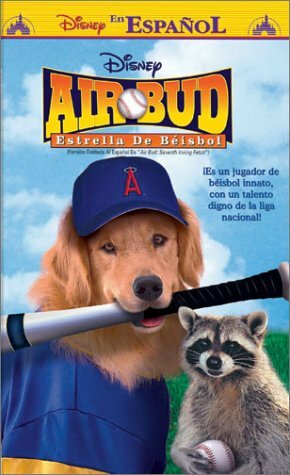 I have to say that I rank the original Air Bud as the best of the films, followed by Seventh Inning Stretch and then World Pup. I don't think the rest are worth ranking. I endured this one at the behest of my 6-year-old. The Air Bud series should have been put to sleep a long time ago. As in just about every other Disney movie, this one continues the tradition of portraying adults as moronic buffoons, while the kids are the wise ones. The plot is stale, the "funny" parts are as corny as they can get. Give me back my 87 minutes, please!! I have heard many people say that this version of "Angels in the Outfield" is vastly inferior to the original 1954 movie. Well, if that's the case, the original must have been pretty darn spectacular, because this movie is very well-done. Roger and J.P. are foster children living under the temporary care of a kind woman named Maggie. Roger is the main character. His mother is dead, and his troubled father rarely visits, even when he promises to. One day, however, his father jokingly says that they have as much chance of being a family again as the last-place California Angels (now the Anaheim Angels) have to win the pennant. Roger takes this statement at face value and prays for heavenly help, which soon arrives in the form of angels who actually come onto the playing field to assist the team. This begins a wonderful summer in which the players, along with their disgruntled manager, start to believe in themselves and find the value of teamwork and courage. Although this is a good film for the entire family (only some very mild profanity and the awkward parent scenes are carried out appropriately), there are several issues that will not be missed by knowledgable (older) viewers. For example, the potential for racial trouble involving the manager and the two boys at the end of the film (I don't want to give it away!) is completely skipped over, although it is a very likely scenario. Although, it is a Disney movie, so everything is supposed to be too good to be true! Overall, "Angels in the Outfield" is an emotional, although sometimes unbelievable, story with a good message. 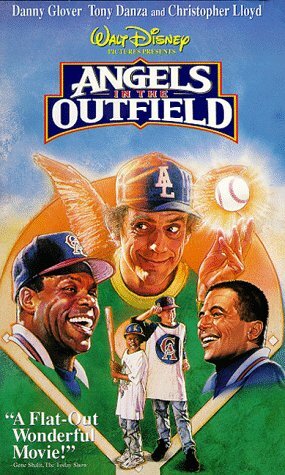 If you are looking for a great, funny baseball movie with a fantasy twist you should check out Angels in the Outfield. Foster-child Roger (Joseph Gordon-Leavitt) prays for the California Angels to win the pennant in the mistaken belief that it will lead to reconciliation with his father (Dermot Mulroney). Angels begin to intervene on the Angels' behalf, bringing hope, faith, and a renewed sense of self-worth to bitter manager George Knox (Danny Glover) and his clumsy team. Diabetics should avoid this film at all costs. It goes for easy sentimentality every step of the way, leading to a very predictable outcome. Kids may like it, though I don't want to be the one to explain why God would pick sides in a sports contest, especially since He and his angels ought to be well aware that answering Roger's prayers will not lead to the outcome he so desperately desires. Oh well, if you can put your brain on hold and get misty-eyed over a stadium full of spectators flapping their arms like angels, you ought to have a good time. 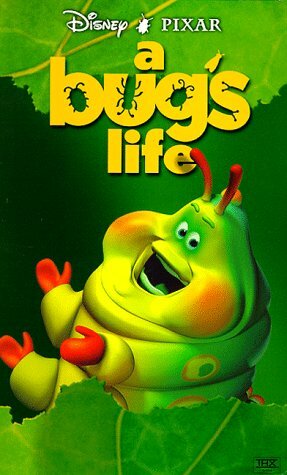 This movie is truly among the most uplifting of children's movies. I absolutely loved this movie. It harks back to the innocence of Snow White yet does not fade into a period piece that will fail time. Star Wars fans will get the boundless tie in jokes with the Galactic Federation and Stitch's escape; "He's gone up the ventilation shaft!" The Galactic Federation senate scene is done brilliantly. Stitch is not a typical, loveable Disney character - he is a menace to the galaxy who runs things his way. However, it is his personal journey through the eyes of the Ugly Duckling story and Lilo's "ohana" that he begins to change from Military Experiment into loving family member. As for Lilo, her struggle to fit in after the loss of her parents is equally real. She is cute without the treacle and unlike typical characters in her situation, continues to be a child in her approach to the larger world. One of the great things with the animation of Lilo is that she is not the beautiful and skinny, cute little girl from page 621 of the writers characterisation manual: she defies the normal by being normal. The best thing I loved about this movie was definitely the fact that it wasn't sweet, sappy and gooy. It was simply heart warming and innocent. 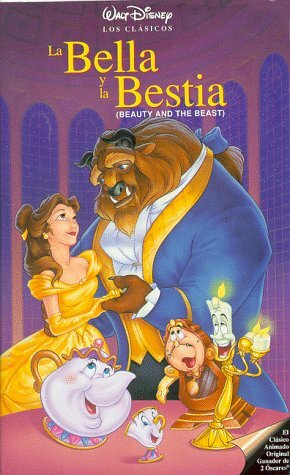 A classic movie that I place up there with Aladdin, the Little Mermaid and Beauty and the Beast. 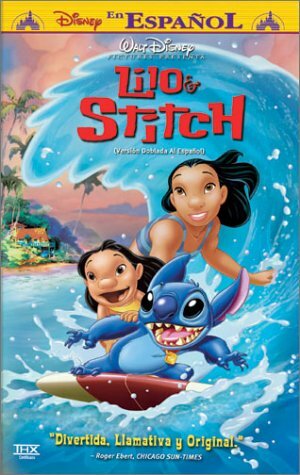 Disney's 2002 summer release, Lilo and Stitch is about a lonesome Hawaiian girl named Lilo, who adopts a cute little dog named Stitch. Only Stitch isn't a dog-- he's a genetically modified fugitive from another planet, designed only for destruction! Stitch has never had anyone to love-- Lilo teaches him the meaning of love. The setting is Hawaii, and, except for the score, there are no original songs. All the songs are by Elvis Presley! Plenty of jokes here for kids, and plenty of jokes for adults too, just like in The Emperor's New Groove. Kids will not likely get the adults jokes, such as references to other movies like Men In Black, and Jaws. Some of the voice actors are Tia Carrere, Jason Scott Lee, Kevin McDonald, David Ogden Stiers, and Ving Rhames-- this makes the movie more fun for adults as well. Although this is rated PG (for some action scenes) I think you will agree with me when I say that Disney had been getting away with putting PG action/violence in G movies for some time (think of The Lion King, or Hercules). Lilo and Stitch is likely good for all ages (all but the youngest kids, anyway). The treat of the summer! great movie about a girl who is about to be taken away from her sister after their parents are killed and an alien is exiled to earth and she finds him and takes him in and he causes rampage all over the city and town. this is such a funny movie! it can keep anyone laughing and the visuals and colors and music are amazing! most of the music is elvis so...its gonna be a great score! anyone can enjoy this movie! What a disappointment from Disney. The animation in this effort is nowhere near as spectacular as it could have been. With static backgrounds that sometimes look like they were drawn with crayons, this movie represents a low point in Disney animation, occasionally resembling a cheesy, medium budget weekend morning cartoon. With the success of movies like Toy Story and Monsters Inc, it seems computer generated animation rules the roost these days. If only Disney others would go back to the drawing board and lavish the kind of care on their new projects that was evident for the likes of "Beauty and the Beast" and "The Lion King"! My overall review: this half-hearted attempt is probably worth indulging if you have youngsters among the audience, but it holds very sparse appeal in general. I'd recommend Nemo instead if you want to have some real family fun. OMG OMG I Luv Lilo & Stitch!!!111!!!! OMG OMG ITS THE stupidest MOVIE EVA!!!!!!!!!!!!11!!!!!!!! Destined to be a classic. The animation is simply incredible; the characters are compelling and hilarious; Boo is worth the price of TWO admissions; the plot and backstory are completely ingenious. Buy this movie. Enjoy it. Enjoy Disc 2. (Tons of extras - including "Mike's New Car" and another Pixar short entitled "For the Birds" -- PLUS, clips from the Monsters, Inc. office musical production "Put that thing back where it came from or so help me..." !!) With the possible exception of Toy Story 2, one COULD argue that this is the (or at least ONE of the) greatest animated movies ever made. Sorry if I'm gushing too much. I love this movie. My kids love this movie. It's just plain, good, old-fashinoned FUN. Delightful, uproarious, fun, hilarious, cute and cuddly, jovial... Just a few of the numerous "happy" adjectives you could pin on Pixar's latest pixilated masterpiece "Monsters, Inc." Pixar once again proves itself Disney's most valuable asset with their knack for original stories and often witty and clever humor. John Goodman and Billy Crystal provide their trademark voices for Sully, the big blue furry monster, and Mike, the cycloptic short green monster as they scare up kids' screams which are converted to energy to power the televisions and alarm clocks of the monster metropolis. (Seems very allegorical of the California power outages this past summer, no?) Conflict brews when Randall, the gecko-like monster, gets greedy and wants to become the top "scarer" by exploiting the screams of the innocent human child, yet show-stealing cute, Boo. While kids might get lost in the action of the movie, the CGI effects and clever Laurel and Hardy-esque slapstick of Sully and Mike (or Lenny and George, which ever way you want to look at it) will have the kiddies captivated from beginning to end. While Dreamwork's box office baby "Shrek" may have just as good edgy, clever humor and depth, Pixar is far from being out of the running. Keep in mind, Pixar is already a veteran with "Toy Story 1 & 2" (with a third on the way), and "A Bug's Life". 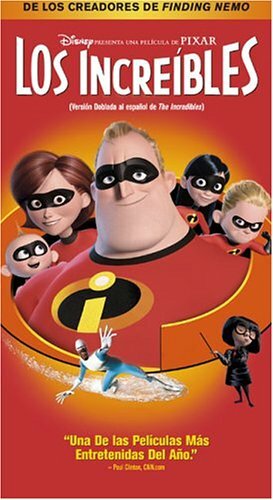 There's no doubt in my mind that Pixar and Dreamwork's will be at the helm of the fully computer animated feature for years to come. May the best company win! For the time being, strap yourself in for the first in some great holiday flicks coming to the silver screen near you! "Monsters, Inc." is already off and running to box office gold, and is a wholly satisfying and entertaining movie for kids, parents, and "Average Joe" movie critics alike. I was in the library with my niece and she grabbed this DVD. How can you say no to someone with the most adorable eyes. So I checked out the DVD, we went home and had a wonderful, wonderful time. This is the kind of movie you can appreciate no matter how young or old you are. 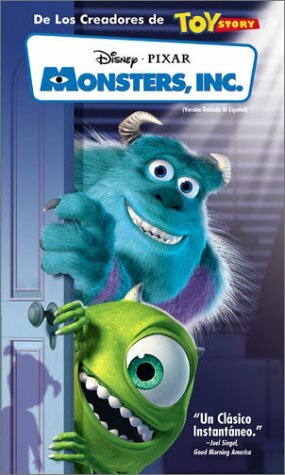 James P Sullivan (voiced by John Goodman), and Mike Wazowski (voiced by Billy Crystal) are monsters who work for Monsters Inc. Sulley is the best at getting his fair share of scares, but he has some competition in Randall who wants to be the top scare monster. The more screams collected, the more energy for Montropolis. The monsters are led to believe that if a child enters their "world" they will be contaminated and everything could be destroyed. The real fun part starts when this adorable human child named Marry (Boo buy Sulley) sneaks into Montropolis by accident. The kids are scared of the monsters, and the monsters are terrifiedof the kids. Sully and Mike try to get Boo back to her world, but she won't leave. Turns out Randall is her scary monster. Also turns out that Randal has a plan up his sleeve to extract screams that could put the other monsters out of work. It's up to Sully and Mike to save Montroplis and Monsters Inc. This is a fun, entertaining film that will leave with a happy, happy feeling when it's all over. Steve Bucemis I the voice for Randal Boggs, and other notable actors are James Coburn, and Jennifer Tilly (who has the perfect voice for animation, she should do more of it!!!) and Bonnie Hunt. This is an adorable movie. One I will watch again, with or without my niece. "Monster's, Inc." combines a fantastic cast, cutting edge imagination, and a tender storyline into a wonderful, delightful family film . . . it may even cure the nighttime frights of your wee ones! Most of us were scared stiff at some point in our childhood by the spooky, imaginary "monsters in the closet," usually after we've read "Where the Wild Things Are" for the first time. "Monsters, Inc." plays on that near-universal fear by creating a rational explanation -- monsters live in a parallel universe, connected to ours by closet doors, and they power their land by the energy contained in human screams. Makes perfect sense! Sulley (the hilarious John Goodman) is a celebrity in Monstropolis as the leading scare-getter for Monster's, Inc. Sulley is generally a lovable big blue yeti-bear-creature, but he can be quite terrifying. Blissfully unaware of the terror he unleashes, he enjoys his job. Basking in Sulley's reflected glory is his sidekick and assistant, Mike Waznowski (Billy Crystal, perfect as ever). Mike is a lime-green-yellow glob with one giant eye and an even larger mouth. He helps Sulley get the screams and stay one step ahead of the competition. And the competition is fierce. The dragon-chameleon Boggs (Steve Buscemi, suitably creepy without being too scary for the kids) is right on Sulley's heels to be the scream champion, and he's willing to go to any lengths to beat his nemesis. Like all Pixar films, the glories are in the details. Check out the gentle satire of Hollywood celebrity culture, of mindless bureaucracy, and the perils of romance in the office. The animation is also wonderful -- Pixar continues to evolve with every picture. For example, Sulley's fuzzy hair is fully articulated as he zooms through various escapades. The story is fast-paced, with enough jokes to keep the adults laughing . . . which is good, 'cause your kids will likely keep throwing this into the DVD player. Speaking of the DVD -- there are lots of fun extras on this two-disc set. Personal favorites include the fake "outtakes," similar to those at the end of "A Bug's Life," a short film featuring Mike showing Sulley his new hi-tech car (with hilarious consequences), and an Oscar-winning short film, "For the Birds," which shows how funny animation can be, even in short doses. There are additional extras that will keep the kiddies occupied for hours. All in all, a must for the family's DVD library. There aren't many movies that can be seen over and over and over again and still be enjoyed so much. My little sister is addicted to Monsters, Inc. Instead of having to look under the bed to make sure there are no monsters there, she wishes and hopes that when the closet door is opened, Scully will be in there waiting to "scare" her. She was Boo for Halloween last year and requested a Little Mikey stuffed animal for her birthday. Basically, she can not get enough of anything to do with Monsters, Inc.
OK, I admit it. I'm hooked on Monsters, Inc. too. After seeing it thirty plus times with the little one, I still find myself actually watching it and laughing out loud. What a great movie with lovable characters.